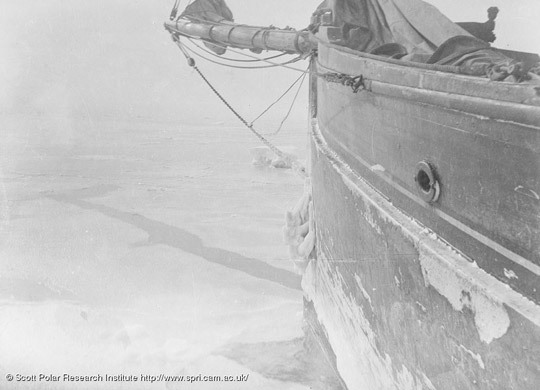 The Scott Polar Research Institute has an incredible collection of photography from many famous polar expeditions and voyages available online, spanning the entire period of the Heroic Age of Antarctic Exploration. 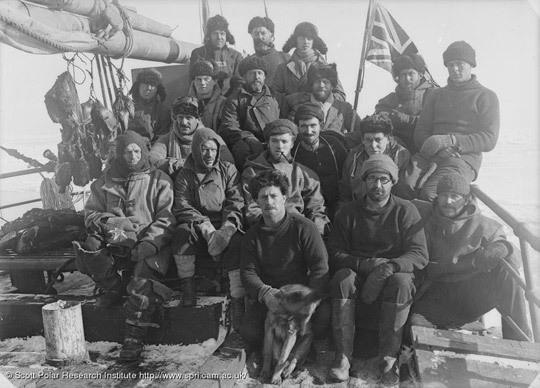 Highlights include galleries for the British Antarctic Expedition of 1907-1909, and 1910-1913 (split into several different collections by photographer: Ponting, Levick, Debenham). 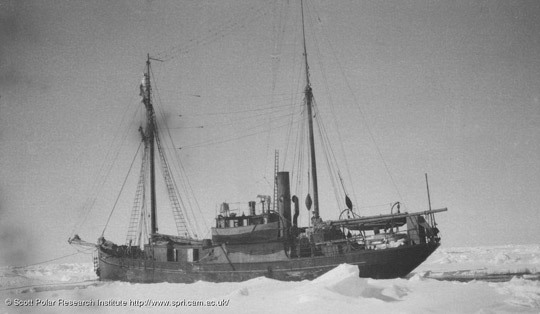 The Shackleton-Rowett Antarctic Expedition is also well documented – it was the last adventure taken by Earnest Shackleton (who later died of a heart attack while the ship was docked in South Georgia in the Atlantic Ocean) and is considered by many to be the closing of the Heroic Age of Antarctic Exploration. 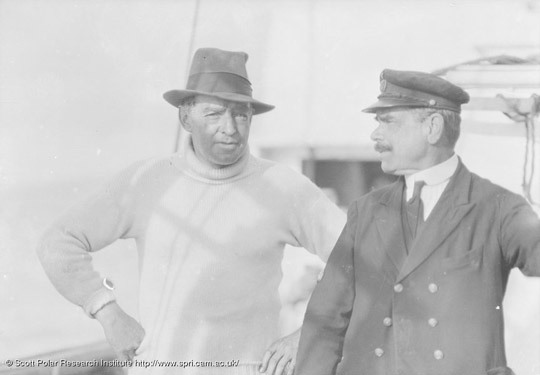 Shackleton (left) on board the Quest with Frank Worsley. 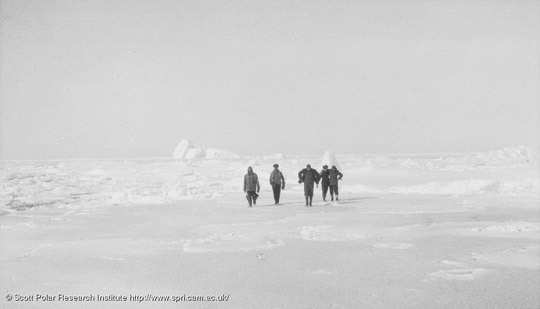 Expedition members walking toward the camera. See the rest of the images of the Shackleton Rowett Antarctic Expedition online.